$120k Flooding-Mesh Protocol: the Duo can join as a node and also be a Wi-Fi gateway for the whole mesh network. Please check our Update #4 for more information and how to help us & our backers to reach the goal. The Duo is a thumb-size development board designed to simplify the process of building Internet of Things (IoT) products. 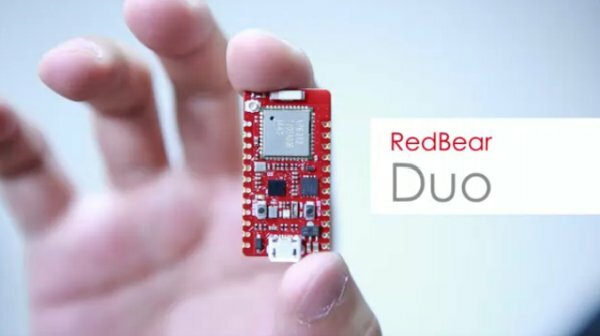 The Duo provides everything you need—Wi-Fi, BLE and a powerful Cloud backend, all in a compact form factor that makes it ideal for your first prototype, a finished product, and everything in between. We’re also introducing the RBLink, an expansion board for the Duo that allows you to attach additional sensors and modules without any soldering. 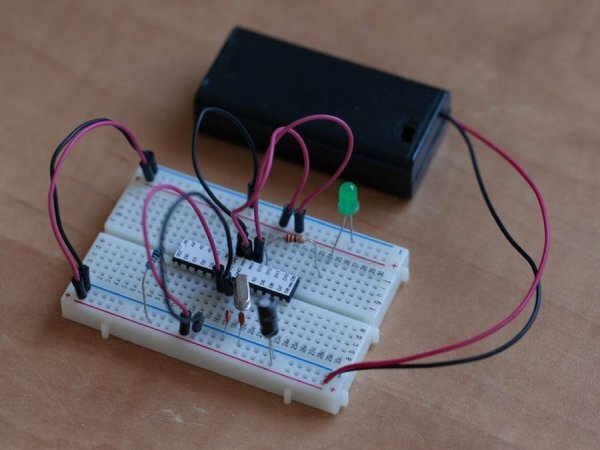 You’ll have all the tools you need to get your prototype up and running in no time. The Duo is your Bluetooth gateway to the Internet of Things. It allows you to communicate with your projects both over the web and with your phone, enabling a wide range of cool interactions. Would you like to build a front door lock that can be opened using a phone and whose settings can be changed wirelessly to give access to additional people? Maybe connected lights that turn on as your phone comes in range but can also be controlled when you’re miles away from home? Wi-Fi + BLE also means you can do make your wearable products extra interesting by adding things like beacons and data collection. Oh and robots! Whether you’re in the same room or halfway around the world, the Duo gives you all the connectivity you’ll need to control, interact, monitor, and play with your awesome new creations. RedBear Duo connects with eight BLE Peripherals as BLE Central and iPhone via Wi-Fi, background information available on our website. Connectivity: How does the Duo communicate with the outside world? The Duo contains both Wi-Fi and BLE capabilities. This means your project can communicate locally with Bluetooth enabled devices and can also connect to your local Wi-Fi network to interact with anything else on the web. The Duo is built around the Broadcom BCM43438, a Wi-Fi 802.11b/g/n plus Bluetooth 4.1 (Dual Mode) combined chipset. They share the same 2.4GHz antenna and can run at the same time. This gives you the flexibility to utilize the most suitable wireless technology(s) for your project.